Asthma is considered what is known as a variable disease which means that symptoms vary from person to person who has asthma. It is even possible that at different times of the year the same person may experience different symptoms. To properly treat a patient with asthma the doctor must first explain to the patient how to avoid the individual’s personal triggers that may bring on an asthma attack. The next thing he should do is sit down with the patient and work out a full written action plan which should include the proper medication to minimize your symptoms. Regular doctor visits should also be scheduled so that the patient’s symptoms and severity of their asthma can be monitored. This allows the doctor to adjust the medications to changing circumstances as necessary. With asthma there ate actually two different kinds of medications usually required to properly treat the condition. One type is referred to as a controller or preventer which work to reduce the inflammation in the person’s airways. These are usually prescribed to take on a daily basis and they will over time allow you to have fewer and fewer symptoms. These must be taken even after your airways are clear you must continue to take them or the inflammation of the airways will just return. Relievers are quick response medications that work to alleviate the symptom immediately. These types of medications such as inhalers do nothing however for the underlying source of the symptom and there use should be monitored and tracked as they give a good indication as to if your asthma is changing or not. Some of the most important things to remember are about treating your asthma is that you must: initially work along with your doctor to get your asthma under control, prepare with his help and follow a written asthma action plan, try to stay away from or avoid the things that trigger asthma attacks such as smoke and cold air, avoid your own asthma inducers like allergies, viruses and pets, ensure you take all your medications when and how you are supposed to and lastly know what you must do if you have a severe asthma emergency (attack). Treatment of asthma in babies and children often poses more severe problems than in the case of adults. Severe breathing difficulties are still what must be prevented but in smaller bodies the bronchial tubes are also considerably smaller. 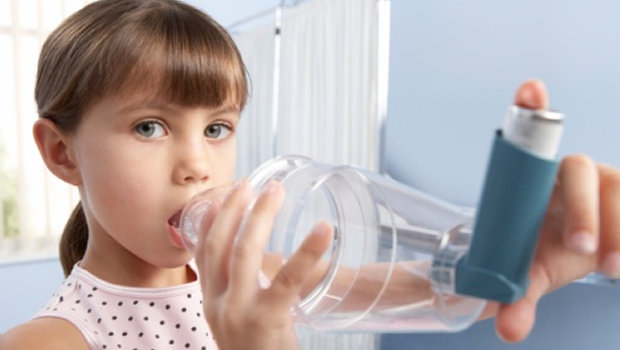 Treatment plans prescribed for children may alleviate the symptoms for kids with mild asthma but it is important to realize that one-third of infant fatalities occurred in children who were diagnosed as only having mild asthma. If a child should have a severe asthma attack, what is called the red zone in an asthma action plan, administer the prescribed medications, speak with doctor immediately to determine next step. If child’s peak expiratory flow does not go back down within the green zone or stabilizes in the yellow zone after the medication is taken it may be advised to take the child to the nearest hospital or emergency care facility. 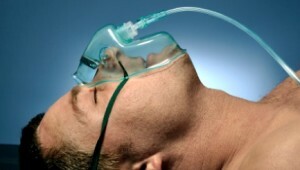 Doctors there may deliver inhaled beta2-agonists and corticosteroids or even put the child on oxygen therapy. Once the lung’s function and condition has been evaluated the doctor will then decide on further treatment which may include admitting and possibly emergency room procedures. In some cases asthma cannot be controlled just by avoiding triggers and using medications and allergy shots (immunotherapy) may be prescribed. This type of therapy is the injection of allergen extracts and the desired result is to desensitize the person to their allergy.